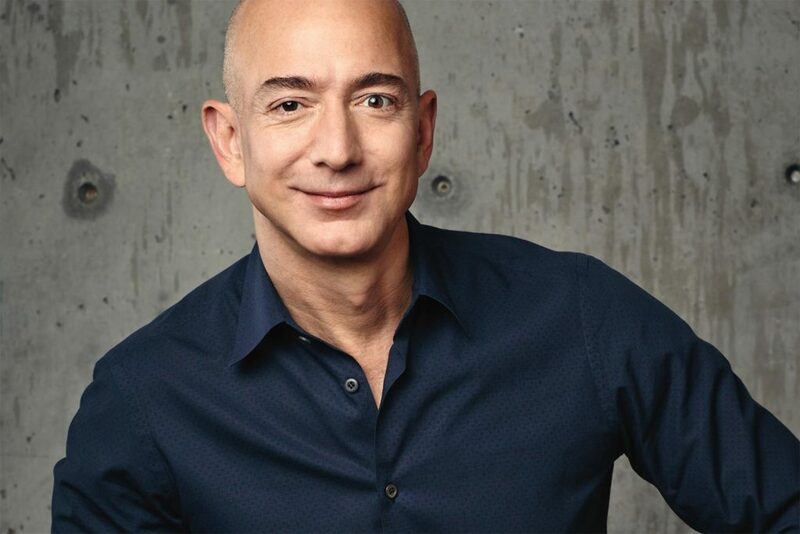 Jeff Bezos is the Abraham Lincoln of the business world: he doesn’t let critics stop him from making history. The success of the Amazon Echo encapsulates his resiliency perfectly. eMarketer recently reported that Echo owns more than 70 percent of the market for voice-assisted devices, whose usage grew nearly 130 percent in 2016. During 2017, 35.6 million Americans will use voice-activated assistants at least once a month, which means 25 million of them will use Echo. And during the 2016 holiday season, Amazon sold nine times as many Echo devices as it did the year before. But the ascendance of Echo was hardly assured when Amazon launched the product in November 2014. In fact, Amazon’s Echo caused a good deal of criticism, ranging from concerns about violations of personal privacy to skepticism over its value to do anything useful for its owners. The Echo surfaced at a time when Bezos was fielding taking heat for the failure of the Amazon Fire phone, which Amazon had released earlier in 2014. And although the Echo made some positive impressions coming out of the gate, the product didn’t exactly overwhelm the media influencers. The voice-activated speaker inspired bemused reactions from publications that were not quite sure what to make of it, including The Verge, which described Echo as “a crazy speaker that talks to you.” An analyst at Wedbush Securities told Bloomberg, “I think it’s just a two-way speaker, but why isn’t there an app that lets me do the same thing without having to spend $99 on hardware? I think this is a solution that is seeking a problem.” And Consumer Reports criticized the Echo for being too rudimentary. In addition, voice assistants were hardly setting the world on fire, and the only company that was making any semblance of traction was Apple with its Siri assistant. Did the world need another voice assistant with Amazon’s Alexa, the voice assistant that powered Echo? Amazon didn’t help its cause, either. To promote Echo, the company launched a (now deleted) video commercial that depicted a family whose life centered on the power of the Echo. The commercial was so amateurish that it spawned parody ads that went viral. The knives were out, and Bezos was a visible target. But Bezos was undeterred, just as Honest Abe stood firm when his detractors called him an idiot. At a conference in December 2014, Bezos vowed, “My job is to encourage people to be bold.” It was clear he didn’t fear failure. He then boasted that the Amazon Echo, barely a month on the market, was already so successful that Amazon hadn’t built enough to satisfy demand. He’d later claim that the Echo was the beginning of “a golden era” for technology because of the product’s use of artificial intelligence to perform tasks such as adjusting the heat in one’s home via voice activation. Bezos’ hyperbole in the face of doubt was well founded. It turned out that consumers liked the Echo. They found it to be a natural, easy choice perform everyday tasks in the home, such as reading the news, listening to music, controlling smart lights in the home, managing to-do lists, and buying products. Meanwhile, the quality of voice assistants such as Alexa improved, making Echo more reliable. Talking to Echo proved to be so easy and convenient that Echo sales took off. It is estimated that Amazon has sold 8.2 million Echo units. As a fashion assistant. Amazon recently launched Echo Look, which uses a hands-free camera to allow owners to take photos and videos of themselves and receive fashion tips on the clothing they are wearing. Echo Look is like a fashion consultant that relies on machine learning to make Echo a more personal two-way experience. It’s also part of Amazon’s expansion into the fashion industry. Already Amazon is one of the biggest clothing retailers in the United States and operates a number of private-label fashion brands. As an audio/video platform. The new Echo Show makes it possible for people to not only issue voice commands to Echo but also to call up visual information such as song lists. You can also use Echo like Skype or FaceTime to have conversations with people on your screen. All of a sudden, Amazon is challenging Apple’s Facetime, Facebook’s Messenger, Google Hangouts, and Microsoft’s Skype. Ironically, Echo Show has been compared to the next generation of the failed Fire product, as if Bezos found another way to enter the telephony market as he had hoped to with the Fire phone back in 2014. As a music streaming device. Amazon recently launched a subscription streaming service, Amazon Music Unlimited, for owners of Echo devices. As I noted in a recent blog post, it’s easy to see what Amazon is capable of developing: smart playlists that you call up with your voice (“Please play for me some songs that sound like the ones on the new Gorillaz album”). The simplicity of voice commands coupled with Amazon’s already-strong application of AI will make the company a serious contender in the music streaming market (currently dominated by Spotify). In the future, the developers at Amazon will continue to add new skills that the Echo is capable of performing. This includes things like scheduling a ride-sharing service, ordering food for home delivery, serving as a channel guide for television shows or locating other smart devices in your house. Right now, some auto manufacturers are working on the capability of the Echo to communicate with their vehicles, which is a significant step towards cars embracing self-driving and more automated technologies. The budding capabilities of the Amazon Echo ensure that it will continue to be a hot commodity for many years to come. But here’s where the resilience of one of the world’s richest and powerful people comes into play. Bezos is now in a position where he does not have to succeed with every new product Amazon launches. He can literally afford the criticism, learn from the failures he does experience, and evolve Amazon into a brand that changes the way we live. Like Abraham Lincoln before him, Bezos is in a war he intends to win at all costs. This entry was posted in Amazon and tagged Abraham Lincoln, Amazon, Amazon Echo, David Deal, Echo, Echo Look, Echo Show, Jeff Bezos, Siri, Superhype. Bookmark the permalink.